but it isn’t real! Not all the time. Stop scrolling through it and comparing yourself to someone’s best version of themselves. You can bet they are ALSO going through some tough stuff, just like you. No one ACTUALLY posts the sucky stuff that’s actually going on. I read an awesome blog just a few weeks ago called “What I Instagrammed vs What Was REALLY Happening” and it was soooo HILARIOUS and TRUE. So here it is. READ IT!! So damn good. Applause! I am so obsessed with great blogs. When I see a good one, I can’t help but to repost it. I just want to share the love and keep the wave going. Imagine a world with no filters… just 100% honesty, transparency, realness. Something tells me the statistics in depression would decrease if people didn’t have so much comparison throughout their days. In the amazingly written original article by Kate Fagan, we are introduced to Madison Holleran, a girl who appeared to have it all, (based on her social media, that is.) The article is so compelling that I had to repost it below. Click here to read the full story about a girl who took her own life despite the happily filtered instagram life she portrayed to the world. It really resonates with why I started The Wave in the first place. When Robin Williams committed suicide last year, I knew it was time for me to enter the blogsphere. There are so many beauty blogs out there, but not enough blogs talking about the tough stuff, like suicide. How many people out there are silently suffering with issues of mental health, depression, contemplations of suicide…and yet are hiding behind the filters of social media pressures and image comparisons, completely pretending that they are fine and happy? 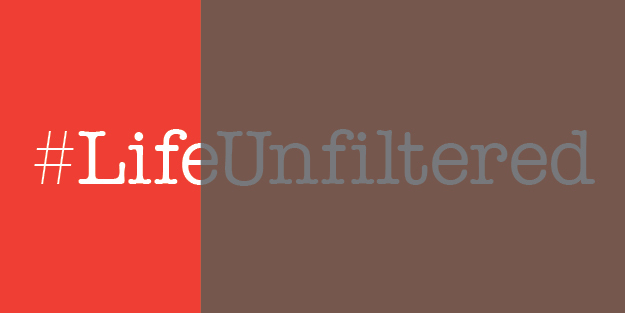 Are you living your life unfiltered? Thank you Kate Fagan for writing such a phenomenal piece that I hope reaches the masses and brings awareness to this issue. Please [REPOST] this blog on your social media accounts. You never know who it can save! How much do you filter your real self on social? Join the conversation by tagging @espnW and using #LifeUnfiltered when you post your photo and story on Instagram, Facebook or Twitter. Five of Madison Holleran’s friends remove the filter — literally and metaphorically — from their social media accounts to disclose their true feelings during the shared moments in their lives. Original post and content by Kate Fagan of ESPNw.